Henny & Joe's founder, Ash Bailey, does things differently. Having worked in Bath and the hospitality industry for over ten years, he came to the conclusion that most establishments had in place a rather lengthy process for the preparation of their chai, and what’s more, it contained needless artificial additives. After perfecting his chai recipe and inspired by the positive reaction that he received, 2013 saw him launch his company named after his two sons Henry and Joseph. Using traditional methods of decoction, the recipe is created from a blend of aromatic whole spices, sugar, water and nothing else. 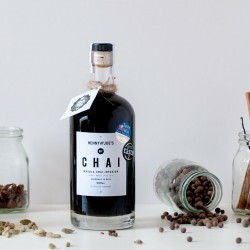 He uses 100% natural ingredients to produce the finest and tastiest chai infusion that can be used not only to make chai latte and chai tea, but also in baking, puddings, milkshakes, cocktails, and more. 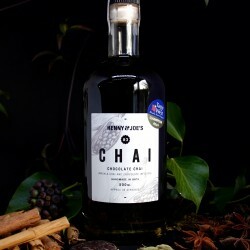 Henny and Joe's chai infusion is a multi award winner having won amongst others, a Great Taste award and a Taste of the West award for 'Best Hot Drink'.